1. The first Arctic lambeosaurine. The new discovery indicates Arctic inhabitance and adaptation of lambeosaurines for the first time. In addition, the fossil’s morphological similarities to the same bone in the skull of southern Canadian lambeosaurines suggest faunal interactions between the Arctic and the mid-latitudes. 2. Implication on habitat preferences. While the Liscomb Bonebed is known for numerous hadrosaurine fossils, the newly discovered bone represents the only definite lambeosaurine fossil from the site. The same trend is also known in mid-latitude localities of North America and eastern Asia, which were also deposited in near-shore environments. On the other hand, more lambeosaurine fossils are found in deposits laid down in inland environments. Therefore, we hypothesize that lambeosaurines favored inland environments, while hadrosaurines preferred coastal environments, a trend likely to have been independent of latitude. 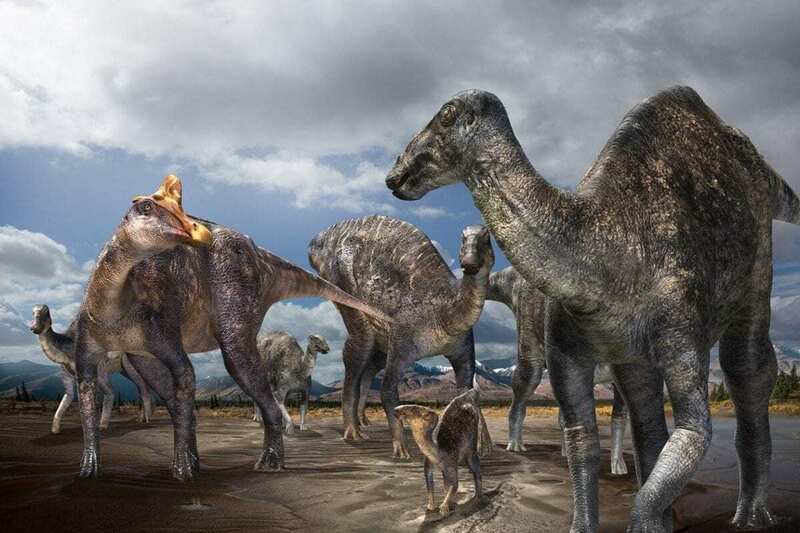 Different habitat preferences might have been a strategy to avoid excessive competition between the two groups of ‘duck-billed’ dinosaurs.